If you have ever wondered how some people can travel around the country (or even the world) without burning a hole in their pocket on accommodation, there are many answers to this. They could be couch surfing, helping out at different homes for a free night stay, or even bringing a caravan along. Certainly, people can get very creative when it comes to finding accommodation, and some even bring their own tents along and stay in the middle of the fields (we do not recommend it!). A caravan is a vehicle that can be pulled along by another vehicle at the front, and it is usually a self-sustaining one that has its own kitchen, bed, washroom (for bigger models). Some caravans are even multipurpose, allowing it to be converted to a catering caravan, camping caravan, or even an exhibition caravan. There are even accessories to assist you in the towing of the caravan: tow bars, couplings, breakaway cables, bowden cable, bearing and stubs, etc. While a caravan can be a great asset to you, consider the fact that you would have to find a parking spot for it. If you are living in the suburbs, this would not be an issue for you as there are land lying aplenty all around. If you are living in the city, this might be an issue, especially if you are living in a densely populated area. The cost of parking such a vehicle may be higher, or even that you might not be able to find a suitable parking space. In this case, you may have to find a company that provides caravan storage for your caravan. 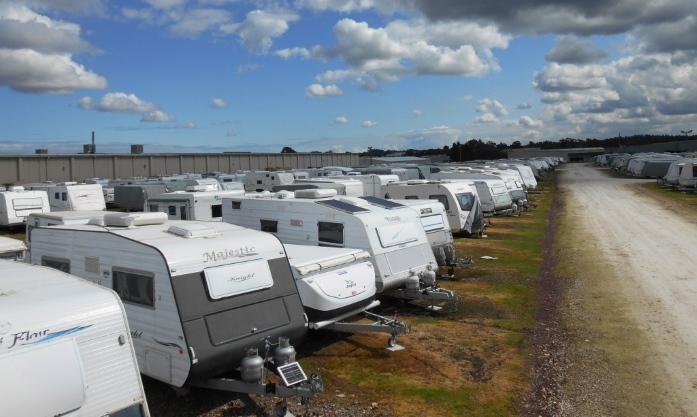 In order to source for a reliable caravan storage company that provides only the best security options for you, it is best to travel down to the facility to view what they have to offer. Some highly reputable companies will even offer a bollarded gate entry system, 24/7 monitored alarms and cameras, heavy duty barriers all around their property, coupling locks on the caravans, electrical fence, etc. With such high-tech security measures, potential thieves are more likely to be put off by the thought of stealing. If cost is the issue for you, you might wish to undertake security measures by yourself. As a caravan is a pretty attractive option, most thieves would choose to strike in the middle of the night where they are unlikely to be seen. You could equip your caravan with motion sensors which would set off an alarm, or even install immobilisers. The incessant sound of the triggered alarm will definitely cause a ruckus in the neighbourhood and drive away any potential thieves. While travelling on the road, you may run into issues such as a broken tap, broken lights, punctured tyre, but nothing can be worse than having no electricity if your generator has broken down. Imagine a cold and wintery night without warmth or light. This can be discomforting and put you off from travelling further. To prevent this, you could install solar panels (or buy a caravan with pre-installed ones) as a source of conserving energy for future use, or even have a backup generator.